Genetic cardiomyopathies are the most prevalent inherited heart diseases and no therapies are currently available to cure or delay progression from hypertrophy to heart failure, and/or to prevent sudden cardiac death. Thus, efforts must be undertaken to develop new and effective therapeutic strategies. 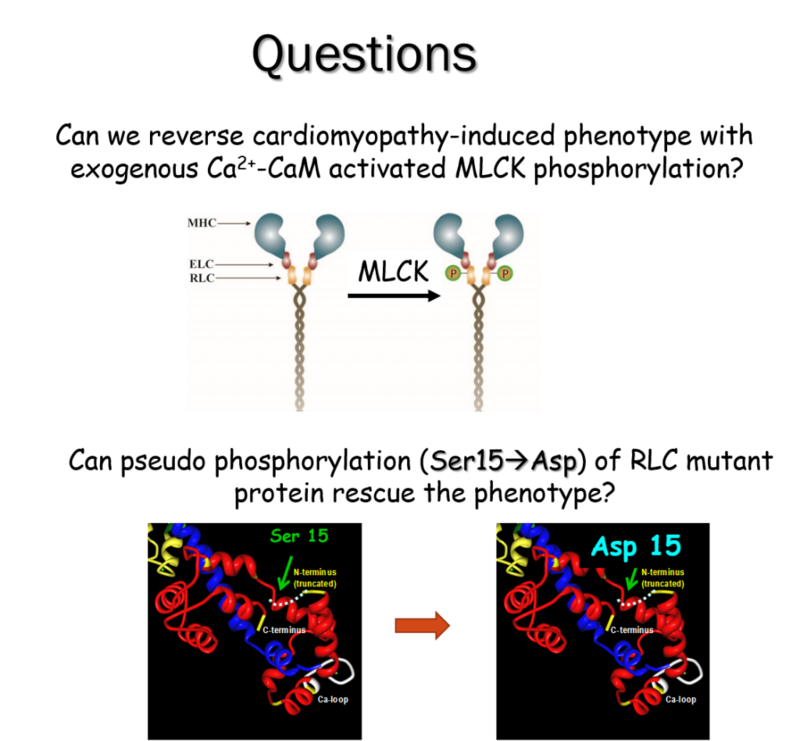 In this research project we aim to explore the therapeutic potential of the pseudo-phosphorylated RLC construct, in which Aspartic acid is replaced for phosphorylatable Serine-15 (S15D) using the adeno-associated virus (AAV) delivery system. The central hypothesis is that RLC phosphorylation plays a universal rescue role in the disease and the pseudo-phosphorylated RLC construct can act as a therapeutic agent to mitigate detrimental HCM and HF phenotypes.